When is it appropriate to talk money with a candidate? You’ve reviewed all the applications, interviewed the top candidates and selected your number one pick. Reference checks are done and now it’s time to make an offer. Everything’s going swimmingly… until your preferred candidate suddenly informs you that the offer is $20K short of their expectations! Unfortunately, this is a common story. So, when should you talk money with a candidate? As soon as possible! To ensure you don’t waste time progressing with candidates who are looking for more money than your budget allows, the sooner you can discuss salary expectations the better. Also remember that you have a much better idea of the responsibility the role has within your organisation, and what an appropriate salary range is, than those applying. You can understand that for many candidates this could make the subject hard to broach early on, expecially given most candidates are unlikely to have worked for you before. Consider including the salary range in your advertisement. Most online job ads require a salary range, at least behind the scenes, to enable their search functions to work properly. But consider including it in the ad text as well. At least that way it would be reasonable to expect that any candidate applying is comfortable within the range on offer. What if their expectation is too high? Give the candidate a chance to tell you why they are worth the salary they are seeking. Perhaps there’s more they can offer your organisation, outside the scope of the role, that justifies considering an increase. This approach will also help give you an indication of who’s just trying their luck, and who may genuinely be worth a bit more. If there’s simply no way to match their expectations, then you need to be honest and let them know as soon as possible. A lot can happen during the recruitment process, and that includes a candidate’s salary expectations. It is unrealistic to expect everyone to stick to the original figure or salary range they gave at the start of the process. They may have gone in thinking one thing, but once they learn more about the responsibilities of the position, they may re-evaluate what they think its worth. There could also be perks from their current role that they will now stand to lose, which they hadn’t fully considered at the start of the recruitment process. This is why discussions about salary expectations should be continuous throughout the process. It can be easy to get caught up on the salary figure and forget about all the other fantastic things your organisation offers its employees. Extra annual leave, tools of the trade, flexible working hours, travel, training opportunities and private health insurance are all valuable perks that enhance the overall value and attractiveness of the role. Having trouble getting a straight answer? There are many candidates who have been scared off talking about money too early on, and as a result, play their cards very close to their chest. There’s lots of conflicting advice out there too, so you can understand their reasoning for doing so. But the reality is they will have a minimum. We all have expenses to pay and we know what we need to get by. Likewise, you have a budget too and salary bands can only go so high. If you’re having trouble engaging with a candidate about money, you need to be front foot the situation. Assure them that it’s an open and ongoing discussion. If their expectations are high, give them an opportunity to explain why you should consider paying them more. But if you reach an impasse, or have a ceiling that simply can’t be broken, then you need to be honest – perhaps this is not the right job for them. We understand that talking money can be uncomfortable, especially if it’s not something you do every day. 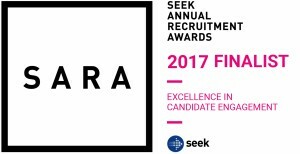 Engaging a recruitment agency (like us!) enables you to hand those harder conversations over to someone who can easily navigate those waters for you. We are always happy to provide advice and guidance around negotiations and best practice processes, so please don’t hesitate to get in touch with our team.